Jeanne Glidewell, a 2006 kidney and pancreas transplant recipient, lives with her husband, Robert, a Vietnam Veteran, in Bonner Springs, Kansas. She is the author of the Lexie Starr cozy mystery series, which currently consists of LEAVE NO STONE UNTURNED, THE EXTINGUISHED GUEST, HAUNTED, and WITH THIS RING. (The first two are available as eBooks on Amazon and the latter two will be available in August of 2013.) Book #5, JUST DUCKY, should be available in the Fall of 2013, as well. Her mainstream fictional novel, SOUL SURVIVOR, involving reincarnation, is also available in the Kindle Store. 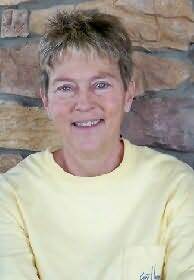 Jeanne has had many magazine articles published and worked as a staff writer for a monthly publication called County Magazine in Leavenworth, Kansas. She enjoys fishing, wildlife photography, traveling and volunteers as a Life Mentor for the Gift of Life program in Kansas City, mentoring future transplant recipients.